For anyone following our Instagram account, you may have noticed that I've been participating in The 100 Day Project, which started on April 4th and goes until July 12th. It's something that Elle Luna started up a few years ago and that I've been interested in successfully completing. I did attempt it two years ago but my project of drawing fabric patterns by hand was too time consuming given my other work back then (if you want to go digging, you'll find a few posts about it back in the archives). This year, I'm determined to complete all 100 days and so far I'm on track! The premise of The 100 Day Project is pretty simple. You just pick a specific task to repeat every day for 100 days. Most projects are creative in nature and they usually involve making something each day. 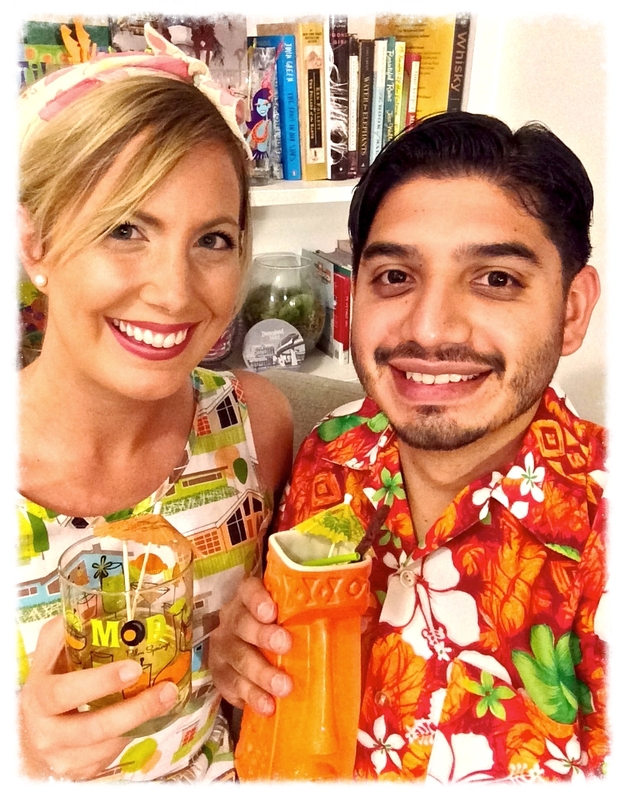 On Instagram, you create a unique hashtag to group all of your work together (mine is #100daysoftikitextiles). That's about it! I decided to do 100 Days of Tiki Textiles because, since I started Modern Tiki Lounge, I've been determined to design and sell something. I wanted to use this blog/brand as a way to channel some of my creativity into something beyond what I do for work professionally (architecture & interior design). In high school, art was a huge part of my life and, with the demands of college and then a career, I've let that piece of me slip away. The 100 Day Project has helped (and even forced) me to start reworking that part of my brain again. 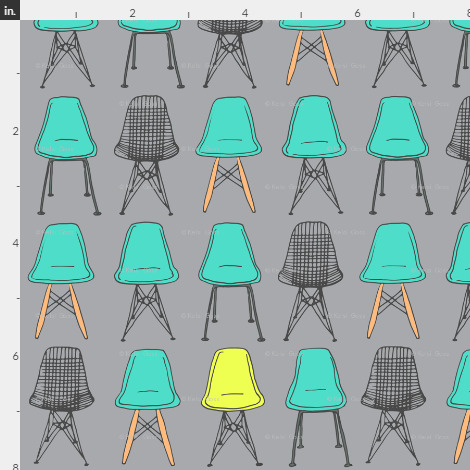 So why textile design? For some reason, over the past few years I've been really drawn to patterns printed on fabric. I envision how they can be applied to walls, pillows, and furniture (my interior design sense definitely comes into play there) as well as how they could be used in sewn projects like clothing, bags, blankets, and other things I'd love to learn how to make. 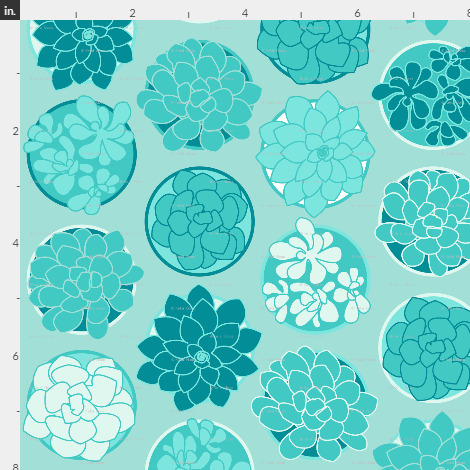 While the graphics I'm creating for The 100 Day Project are fabric patterns to be sold through Spoonflower, they can also be repurposed into so many other things. That's what really gets me excited about this effort. 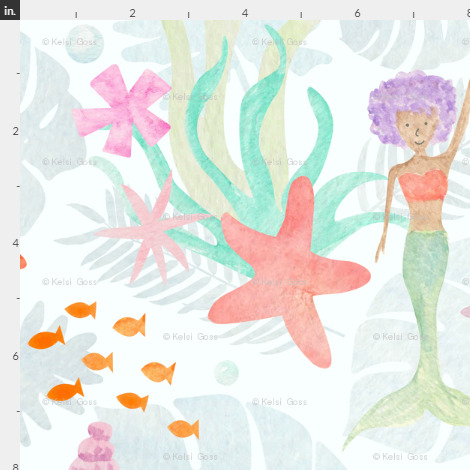 I'm generating a ton of digital content to inspire future projects! I've officially completed the first 25 days at this point and I've LOVED this process so far. Committing to this project has really given me permission to dedicate time to creativity and it's so refreshing. Don't get me wrong, it isn't always easy. Some days I want to just design pattern after pattern; others I'm completely stuck, uninspired, or just tortured by the process. I love some of the work I've generated and I hate some of it. Regardless of the results, I'm dedicated to and appreciative of this opportunity I've given myself to create. Each day is a chance to learn and grow and I love seeing the results all lined up, both good and bad. Here's what I've come up with so far, in chronological order. For my inspiration, I've filled a mug with a bunch of tiki-related prompts that I'll pull out occasionally for ideas. While the prompts are super useful, I don't always rely on them. Some days, something (usually a holiday or event) will inspire a specific design. Other days, I'll just have an idea in mind that I'd like to explore. 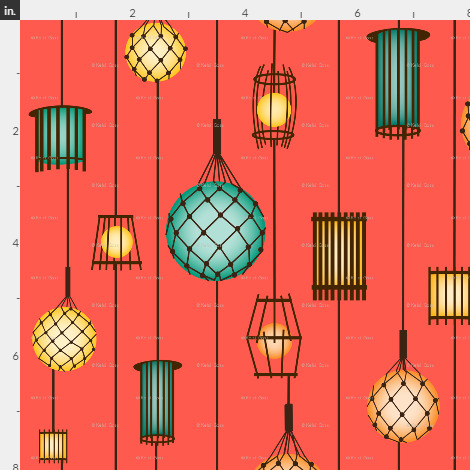 I've also used the weekly design challenges that Spoonflower has to come up with new ideas and push me out of my comfort zone. 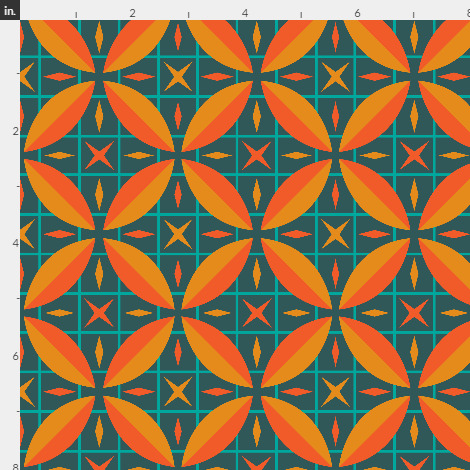 Now that I've come up with 25 patterns, I see so many opportunities to rework them into other designs! There are also plenty of adjustments to make here and there given the fact that I've created these quickly in a limited amount of time each day. The most shocking part of this process so far is getting to experience what a huge difference a small daily commitment can make. The amount of work I've been able to generate dwarfs my efforts to produce things like this over the past few years. My mind is constantly running with new ideas and I feel like those continue to expand exponentially as I get deeper into the 100 days. I can see how applying a concept like this to other projects or other areas of my life (like fitness) could potentially provide some amazing results! I can't wait to see what the next 75 days have in store and I'm shocked that I've already made it (and stayed committed) this far! 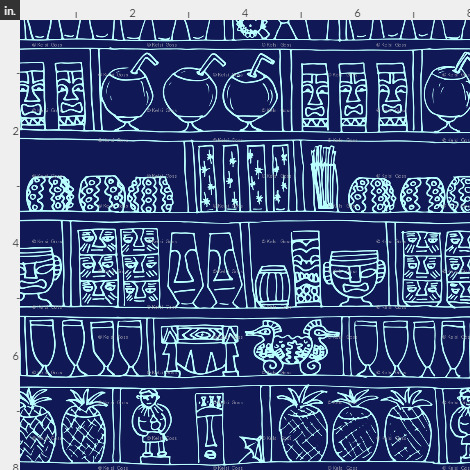 For anyone interested in purchasing these designs on Spoonflower, many of them are available now in the Modern Tiki Lounge shop. You can also purchase pre-made products with these prints over at Roostery. 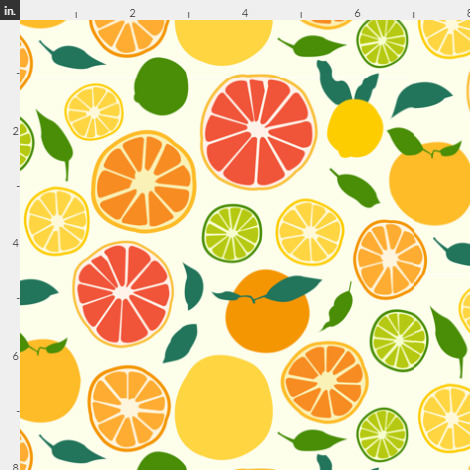 Help Us Win Fabric of the Week at Spoonflower! Reader Survey - Help Shape Our Product Line!